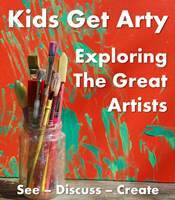 It's time for another Kids Get Arty! I have been looking forward to this ever since we completed our Van Gogh Masterpieces. The biggest challenge for me was picking an artist. There are so many wonderful artists I want to expose the Lil Divas to, it was hard to pick just one. Then one day the Lil Divas were playing with my phone, taking pictures and having fun with them on PhotoStudio. The Oldest Diva wanted to print out her photos and that's when inspiration struck! I pulled up photos of Warhol's work on my laptop and let the Lil Divas see them. 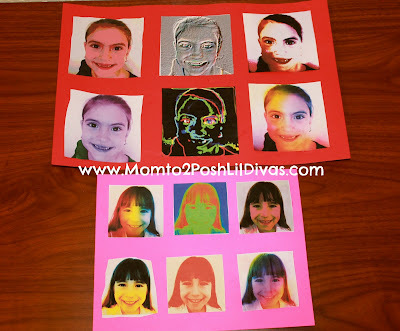 My idea was to print black and white photos of the Lil Divas and let them paint them Warhol stye (visions of his famous Marilyn Monroe art were dancing through my head!). The Oldest Divas was not biting. She promptly informed me that photos are art and she wanted to use the photos she had created on my phone to make Pop Art of herself. Although it wasn't my original intention, I opted to let the Oldest Diva take the lead. Afterall, this project is about letting the Lil Divas explore new things, try different mediums and get arty. 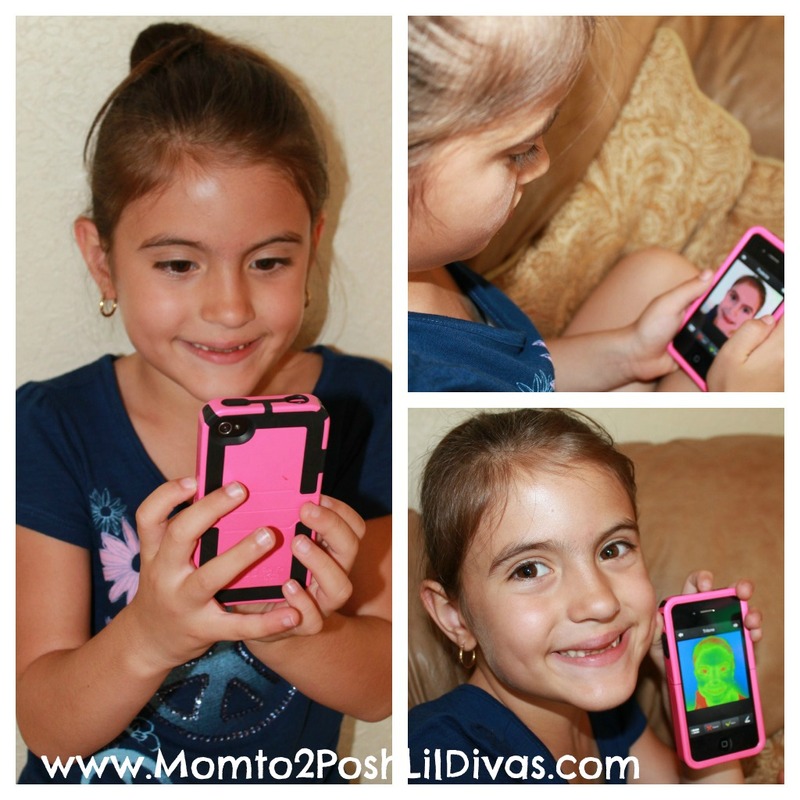 The Lil Divas took turns photographing each other and then using photoshop to add different colors and effects to their photos. I was amazed at how well they are able to navigate the program. 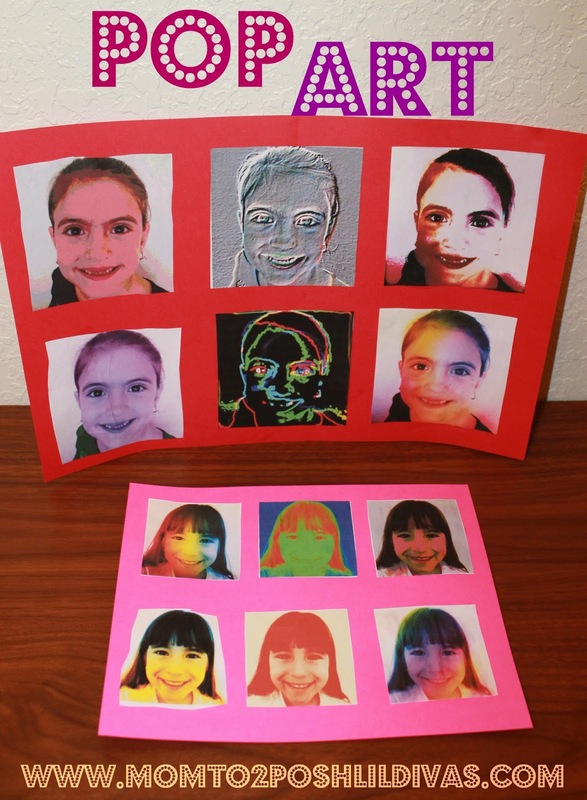 It was wonderful to see that they had a feel for Warhol's work and were trying to recreate his use of color in their photos. 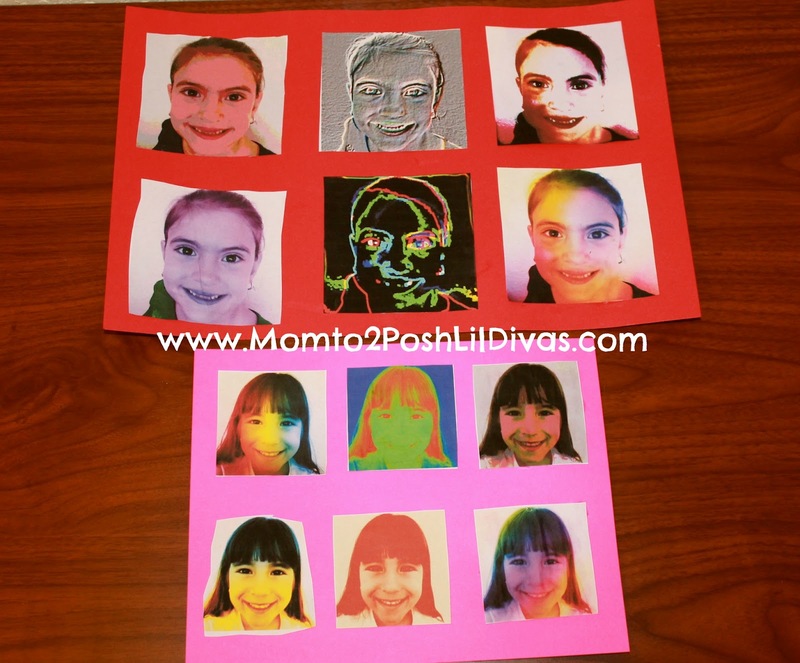 We printed the different photos and the Lil Divas each chose 6 to use for their Pop Art Masterpiece. They cute out the pictures and arranged them the way they wanted onto card stock. It was a simple activity but they are both so proud of their Pop Art! I am proud of them to. even when I tried to convince them otherwise. Great job getting Arty girls! pick an artist and get arty! 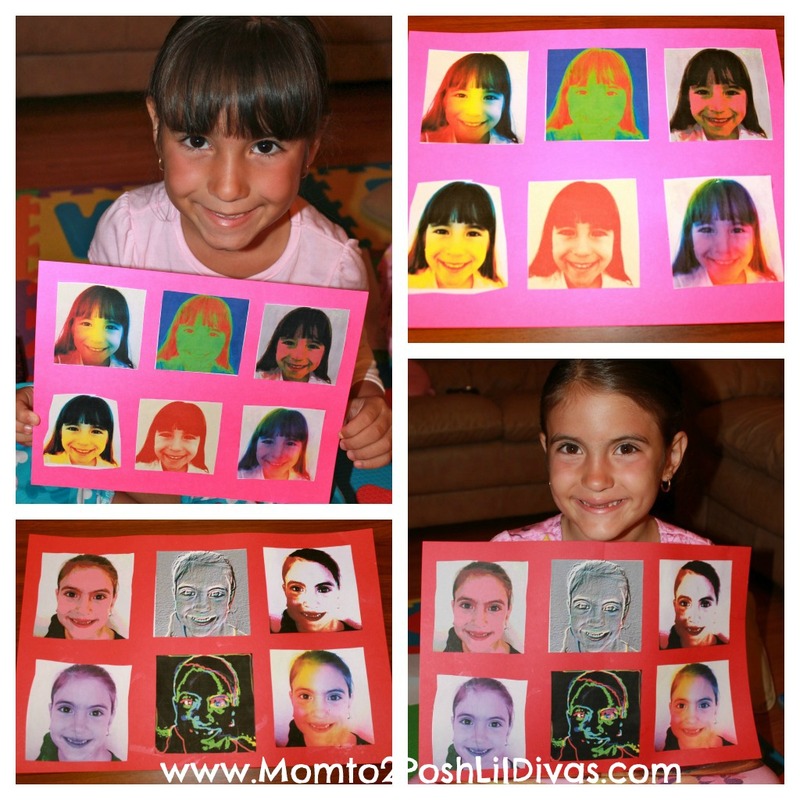 Love the pop art the girls created. Very well done. Aren't your girls just the cutest! Love the shots of them taking their photo. I love Andy Warhol and remember doing an art project on him at school. I know we will most definitely being doing Warhol as part of this series, at some point too!!!! 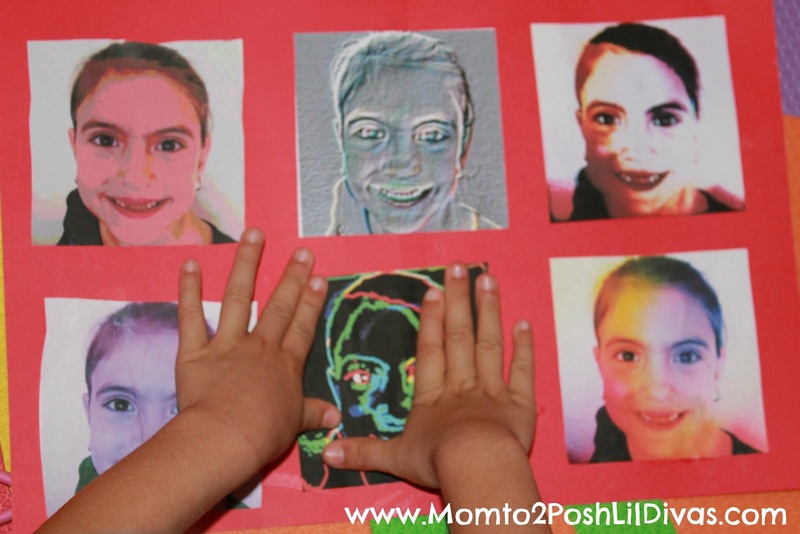 Thank you so much for hosting and joining us on our Kids Get Arty journey! That is really clever, great to use technology to creat art too.